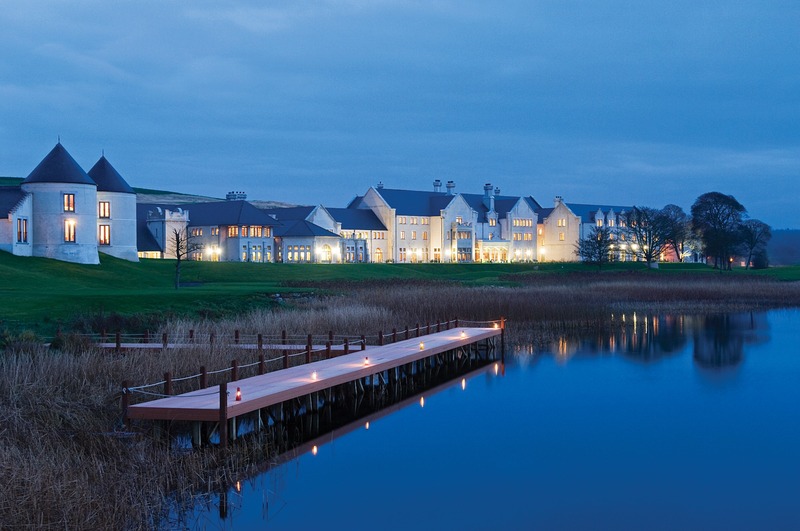 A few miles from the famed island town of Enniskillen, Lough Erne Resort resides between two prominent lakes on its own peninsula. And yes, that is as breathtaking as it sounds. 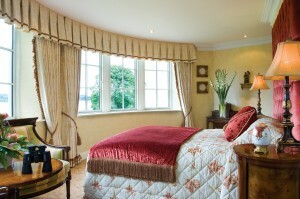 All rooms have enviable views of the natural surroundings. There are two Premier Suites with views of the 18th fairway, gardens and Castle Hume Lake. Junior Suites are just as comfy and cosy; each room comes with 5-star amenities, tasteful decoration and a spacious bathroom. The Catalina Restaurant aims for Four Seasons-type fine dining and gets there by virtue of its blend of the contemporary and the classic. It might appear slightly old-fashioned by comparison to trendy city establishments, but we guess that’s precisely what the pitch is: old school charm fused with modern silver service. 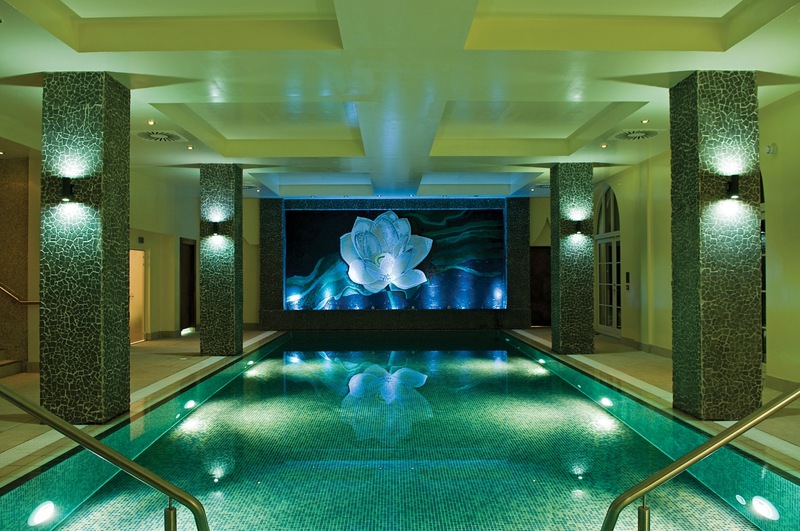 If there's nothing truly unique about this place, then at least the Thai Spa is a dedicated and singular addition to the realm of the senses – it is accessible to those guests who have booked treatments with one of its expert Thai therapists. Truth is, we were initially bewildered and bemused by the friendly smiles and lack of good English language skills, but slowly – as we became used to the kneading hands, elbows, knees and aromas – we came to love it. 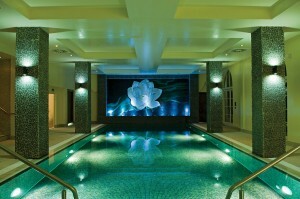 It's unlike the normal spa experience, for sure, but the end result is nonetheless extremely impressive. If we're being picky, can we say that the positioning of Dovecote Suite’s large plasma screen television was totally unsuitable for relaxing viewing, and actually impossible to see from the bed? The application of simple ergonomics plus common sense equals no complaints. Seriously, this was really very annoying in a property that clearly wants to get things right. Nice touches abound, though, notably with quite likely the best collective staff approach we’ve encountered in years. No fawning, no sulking, no insincerity – just genuine pleasantness and a polite no-nonsense attitude. Overall? As good a blend of food, spa, relaxation and sport (the Nick Faldo 18-hole golf course is a must-play for those into the sport) as we’ve experienced. 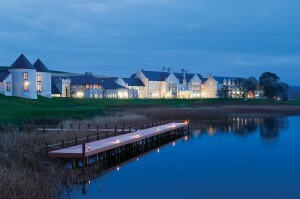 HOTEL DETAILS: Lough Erne Golf Resort, Beleek Road, Enniskillen, County Fermanagh.